A Waldorf Astoria, 5-star-rated resort in the Phoenix/Scottsdale area, The Boulders is now offering a new Elite Golf program for the ultimate luxury experience on and off the course. This is the golf junket of a lifetime for small corporate groups, for wedding parties, a group of friends or a gang of golfers looking to treat themselves to a very private, VIP experience at one of the world's most spectacular golf resorts. In particular, this is an exceedingly rare chance to play an unhurried, very private round on the North or South courses, both famous for their boulder-strewn, Saguaro-studded, desert layouts. The Boulders also offers a "Girls' Golf and Spa Getaway" for 2 to 6 ladies. A Waldorf Astoria resort, The Boulders is Southwestern luxury defined, with 160 guest casitas and 61 one-, two- and three-bedroom villas, 7 restaurants, 8 tennis courts and the full-service, world-famous Golden Door Spa. More here about the North and South courses and The Boulders resort. Founder/editor of BestGolfResortsofTheWorld.com, Karen Misuraca is a travel and golf writer from the California Wine Country. 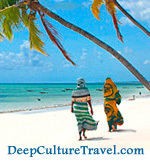 She is also a curator of cultural travel at Deep Culture Travel. 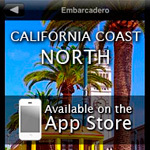 Check out Karen's iPhone app, California Coast North.